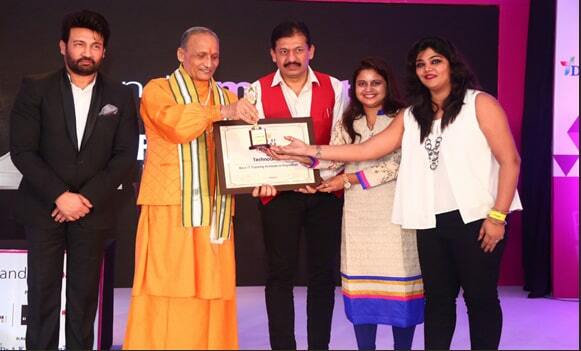 Award for Best IT Training Academy in Rajasthan presented by Mr Shekhar Suman (Film Actor & Scholar) & Acharya Sudarshan. We are the same company that has driven TATA-CMC & also HCL Learning Ltd in Jaipur from year 2005 to 2016. Technoglobe employs highly qualified professionals with Ph.D, M.Tech, B.Tech, MCA & MBA. We have well disciplinary team comprising education experts, subject matter experts, instructional designers, quality experts, Academic advisors, experienced Placement officers, Project Managers & Team leaders. Technoglobe is an innovative and cost effective world-class provider of Customize Application Development, Client Server, Mobile and Web Based Solution & IT Training in (.NET, JAVA, PHP, Android, Networking, Embedded System, AutoCAD, Web Designing, and SEO, Testing etc.). We at Technoglobe relies on a pool of highly qualified professionals armed with sound and diversified technical skill sets. Our team develops software solutions for international tech giants and is trained to provide offshore, onshore and onsite services. As a part of their services Monster.com is providing In-campus, Off-campus & Pool campus drives to Technoglobe. On an average 1 Core company per month is provided by Monster to us for In-campus & around 3 companies each for Off-campus & Pool Campus is provided by monster to Technoglobe..
Apart from this we had a dedicated team of Placement officers who works for the placements of the students. As a result of this we regularly organize the placement drives at the campus. On an average around 2 to 3 companies per month visit the campus for the placement drives (In & Off Campus) and recruit our students for various positions in IT & non IT companies on attractive salary packages. Enhance professional and social skills of each learner through technology empowered learning in campus. Institutional Alliance program of Technoglobe delivers training that are relevant for all core branches of engineering viz., Civil, Mechanical, Electrical, Electronics & Communication, Computer Science & IT. These training programs provide the much needed industry skills that the student requires to make them employment ready. Students are provided trainings & certification of Internships / Projects & indepth knowledge of latest cutting edge technologies through our partners HP, Microsoft, Autodesk & Adobe. We are authorized testing center of all the above mentioned companies for their various respective programs. We at Technoglobe offers job ready training programs for the beginners & skill enhancement program for those who are already employed in industry. Ample practicing on REAL TIME PROJECTS makes participants productive in their jobs. At Technoglobe we create GLOBAL PROFESSIONALS. 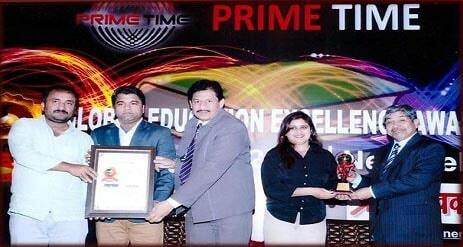 We are Seven times award winning company for BEST IT TRAINING ACADEMY in Jaipur & Rajasthan in last years. Well equipped infrastructure enabled with all the latest education & IT technology and methodology. State of art center at more then 5000 sq ft carpet area at the most prime location & education hub of Jaipur. Seperate Labs for Hardware, Networking, CCNA, Embedded Technologies, Industrial Automation etc..
Technoglobe (International Accredited Organization IAO Authorized Institution) is a Flagship of VSM Infotech which is a Government of Rajasthan registered & ISO 9001:2008 certified offshore Software Development & IT Training Company established in 2001. Students are provided eduction as per the international standards. Apart from the experience & services of India's biggest placement Giant i.e Monster.com, a dedicated placement team comprising of senior industry professionals works closely with Technoglobe students,corporate recruiters,industry and the larger business community. We undertakes special initiatives by way of organising lectures,corporate seminars and industry interactions to keep the students abreast of latest trends and emerging opportunities across sectors. Our 'capability framework', enables us to devise the most technologically advanced and cost-effective solutions in every business and technology domain. The same we deliver to our students which make them potential employees for MNCs. Technoglobe offers Project Training / Summer Training / Industrial Training for students of BCA / MCA / MSc. IT / B.Tech - CS/ IT/ E&C/ EEE/ Mechanical/ Civil/ Architecture across technologies and platforms in different technologies like PHP, .Net, Java, Android, Testing, Embedded System, BigData, Hadoop, Python, Cloud, PLC, Autocad, ARM, RTO, Arduino ect. These Projects / Industrial Training programs are a unique combination of Technology learning and real life technical projects.